Hing Fat has been making toys since 1980. A Hong Kong based company, its factories are located in Mainland China. A wide variety of products have been developed by the company to enhance children's intellectual strength. The Bucket Series are some of the best selling products Hing Fat has to offer (the Big Bucket O’ Fun, World War Two soldiers). Other series include Animal Kingdom, Dinosaurs, The Farm, Ocean Explorer, Cowboy, Pirate, Space Exploration and King & Knight Weapon Set. Hing Fat's toys are worldwide registered products which comply with ASTM and EN71 safety toys standards. 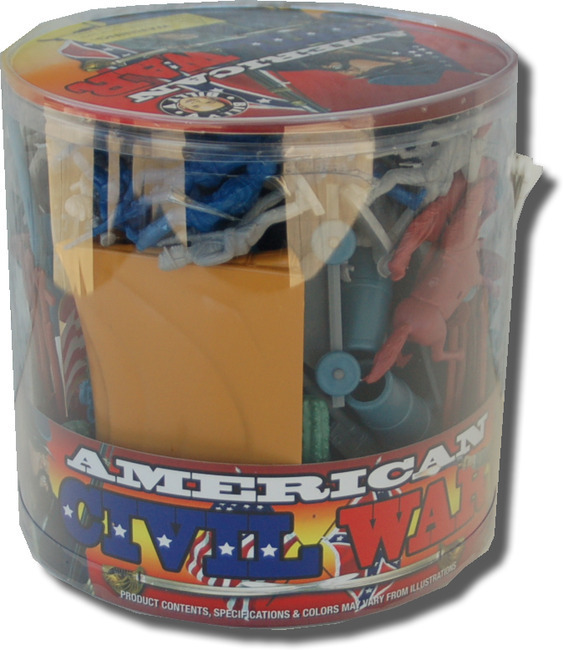 Battle Bucket - American Civil War 73 pcs.